Forget currencies and commodities … perhaps the most helpful analogy for Bitcoin is ‘land’, argues Richard Gendal Brown. You could argue this is a trivial observation – “how else could it work? !” – but thinking in terms of ownership and protocols for transfer of ownership is a surprisingly helpful way to think about how the system works. That’s because the ‘protocol of ownership’ insight means there is a whole other world of history, tradition and precedent to learn from: land. OK – not a perfect parallel but let’s go with it for now. What happens if we think about bitcoin through the lens of land? The “Land Interpretation” of bitcoin. 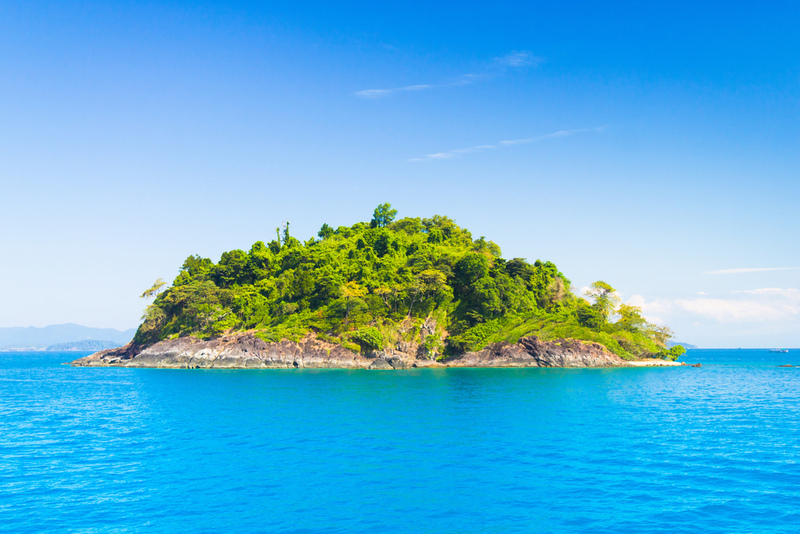 Think “Bitcoin Island”. Second, it helps us put some intuition behind the concept of the ‘unspent transaction output‘. These are bitcoins that have been sent somewhere but not yet themselves been spent. So the set of all unspent transaction outputs (UTXOs) can be thought of as the latest state of every bitcoin that has ever been mined. 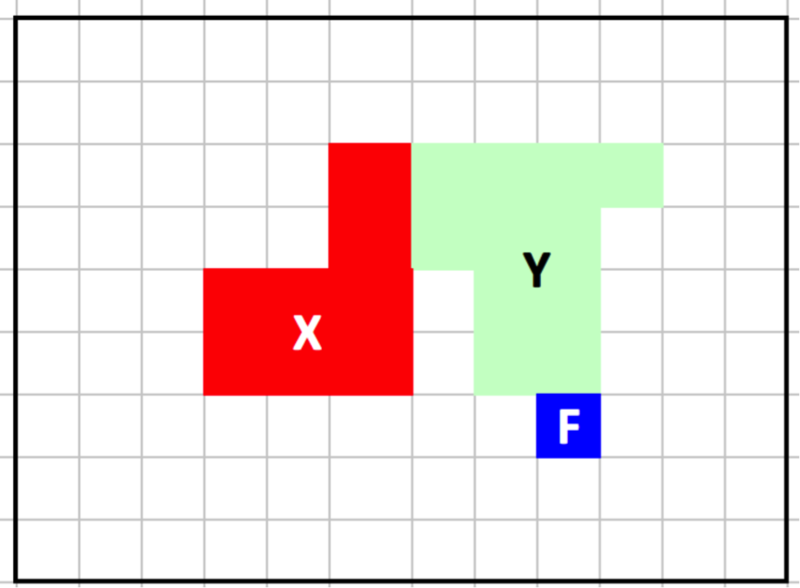 But the interesting thing is: if we take a ‘land interpretation’ of bitcoin, then UTXOs have a really simple explanation: they are plots of land! And bitcoin transactions are simply actions that merge or split these plots of land. Imagine I own 20 bitcoins. My bitcoin wallet software will show a ‘balance’ of 20. But it’s likely that this balance actually consists of multiple unspent-transaction outputs. Even if I had bought all 20 bitcoins in one go, it’s likely that the seller merged several smaller UTXOs that added up in total to twenty bitcoins. So perhaps I received three plots of ‘land’: 7 bitcoins in one, 7 in another and 6 in the third. My total ‘holdings’ are 20 – but it is formed from three ‘UTXOs’. 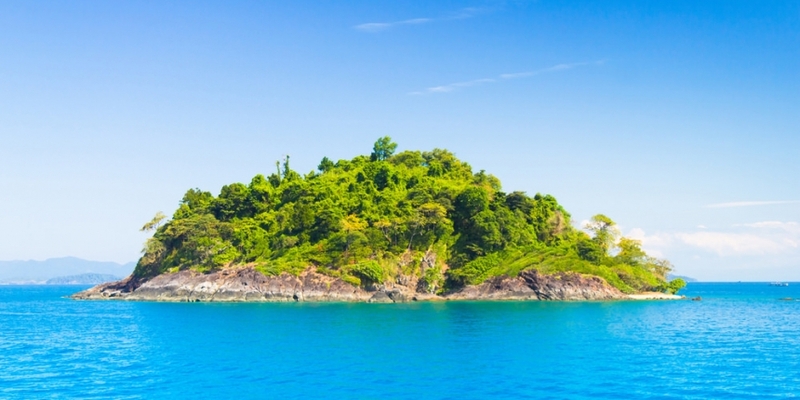 We can think of Unspent Transaction Outputs as plots of land on ‘Bitcoin Island’. 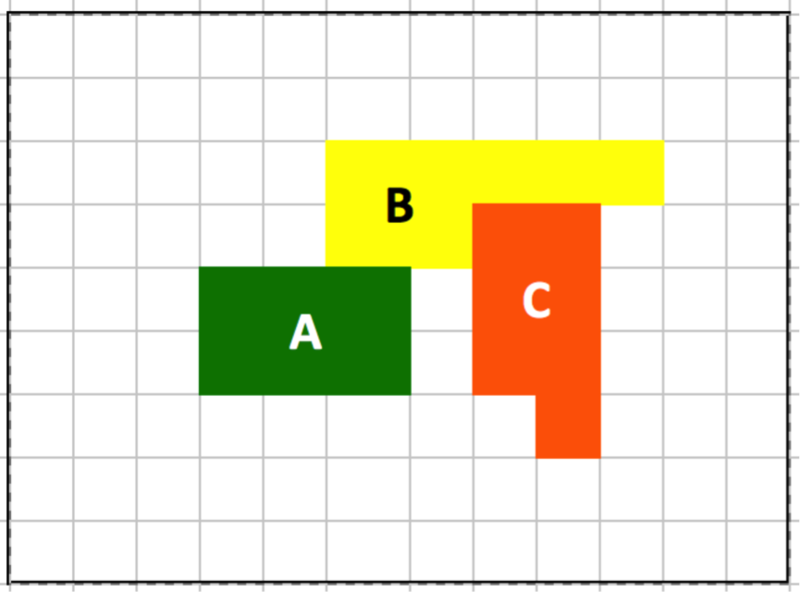 Plots A, B, C represent three unspent transaction outputs controlling 20 bitcoins. Imagine I wanted to buy a second-hand car for 11 of my bitcoins. Let’s also imagine that I pay a transaction fee of 1 BTC to keep things simple (a HUGE over-estimate, of course). I will set the conditions so that only the seller of the car could satisfy the Y condition and so that only I could satisfy the X condition (that’s my change and I don’t want anybody else spending it!). But we can go further … we can now have an informed discussion about what “ownership” means in bitcoin. When I “send” bitcoins to somebody, I’m not assigning ownership to an individual. What I’m actually doing is laying down a condition – and anybody who can satisfy that condition will be considered the owner. But the conditions can be far more complex than that … It’s all down to how you write your transaction. OK – so thinking of bitcoin in terms of land helps us build some intuition around UTXOs, which we can think of as ‘parcels of land on Bitcoin Island’ and we see that bitcoin transactions are really just a way to merge or split these parcels of land and impose conditions that allow people to assert ownership. 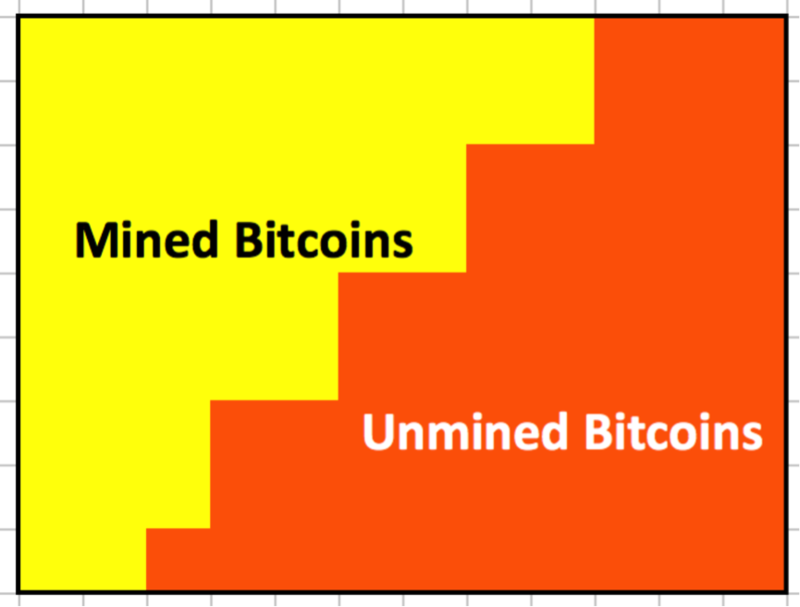 The land analogy works because bitcoins are not perfectly fungible. Sure – there are projects trying to overcome this but this feels like an arms race between developers and law-enforcement agencies. To the extent that fungibility remains imperfect, what drivers could force different ‘land parcels’ to have different values? For me, the biggest topic on the horizon for fungibility is ‘coin tainting’, ‘whitelisting’ and the other schemes intended to ‘tag’ bitcoin addresses or UTXOs. I see these schemes as directly analogous to concepts like land ‘blight‘ on the one hand and maybe ‘planning gain‘ on the other. For example, if you own a ‘plot of Bitcoin land’ that has been ‘whitelisted’ by an exchange or finance firm such that you can access their services, presumably your ‘plot’ would be worth more than one that didn’t have that property? Two pieces of seemingly identical land can be worth vastly different sums: if one is sitting on oil and the owner has mineral rights, a purchaser will be willing to pay them more for their land than if it didn’t! Perhaps this is a useful analogy for colored coins: two identical bitcoins can trade for different prices if one of them has been ‘colored’ by a trusted issuer. What are the taxation implications? What happens when projects trying to add coin coloration to bitcoin conflict with projects trying to create fungibility? This interpretation now helps us think more clearly about the role and value of altcoins. Perhaps the innate characteristic of a currency (faster confirmation time? Use of scrypt?) makes the island a more attractive place to live. But if all the infrastructure and population is on Bitcoin Island then these features may not be enough – who knows. In some cases, the obligation is short-lived (eg the mortgage charge) but in others, it persists across transactions (eg chancel repair liability). A question I don’t know the answer to is: can you write a bitcoin transaction that imposes conditions on a UTXO that propagate? That is: can you write a transaction such that whoever spends the UTXO must impose the same condition on their transaction output? Of course, the land analogy is imperfect but I do think there is something to it. If nothing else, the mental image of ‘Bitcoin Island’ with UTXOs being the plots of land feels like a really useful one. It has certainly helped my understanding. Richard Gendal Brown writes on bitcoin and other trends in finance here, his views do not necessarily represent those of IBM. This article has been republished here with permission.